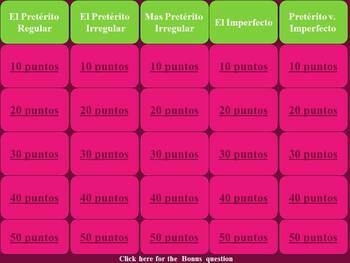 Preterite and imperfect grammar review for Spanish class! 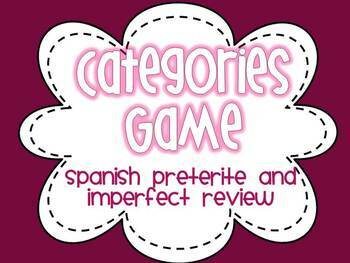 Your students will enjoy reviewing preterite and imperfect topics with this categories style PowerPoint game. 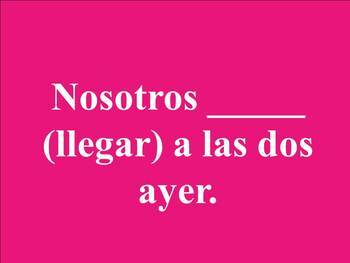 Categories include regular preterite tense, irregular preterite, more irregular preterite, imperfect, and preterite vs. imperfect.